I wanted to share with some Doctors of Chiropractic on my methods of Spinal Decompression and obtaining a high success rate in helping patients that have pain due to herniated discs. 2.) Accept patients that are true candidates for the procedure. Most doctors that get involved in Spinal Decompression in New York and other states usually incur a huge upfront cost so any patient that walks in the door they want to get them on the table. I only accept patients that I feel will truly benefit from the procedure, I do this because If a patient gives you his or her hard earned money and you can't provide the goods you will feel the pain. In fact I turn down more patients than I accept each month for various reasons. Most doctors bought into the idea that this will cure everyone and anyone with back pain. 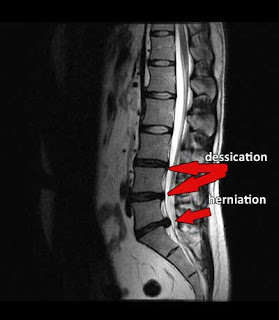 In reality Spinal Decompression treatment is an excellent option for patients suffering with Chronic low back pain or pain from a herniated disc. Once a patient start care it is also imperative that patient increase their intake of water and if possible to quit smoking.